LIFE Runners banquet to benefit school LIFE Runners chapters, impacting hearts & minds for saving lives! LIFE Runners is the largest Pro-Life team in the world with more than 10,300 teammates in 35 countries. 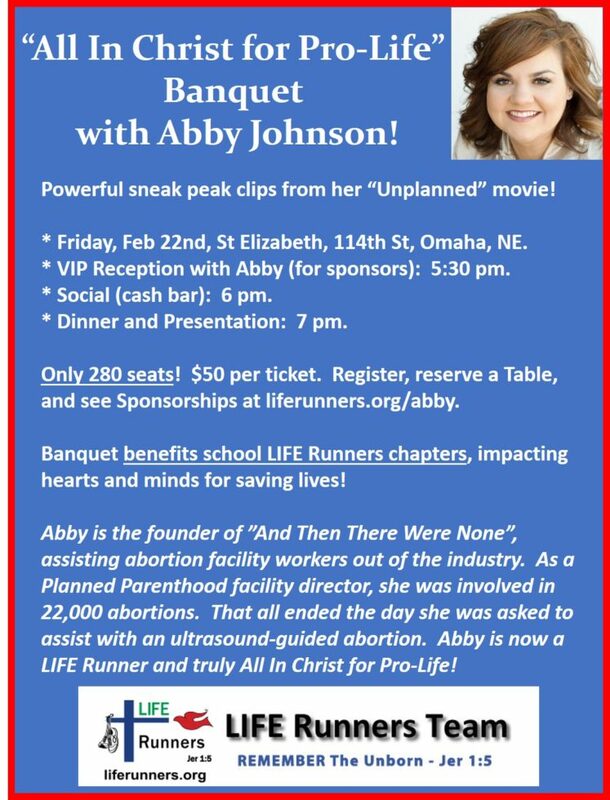 Former Planned Parenthood clinic director, Abby Johnson, is the guest speaker. She will share her Pro-Life message and show previews to the movie “Unplanned” that tells her story and comes to theaters in March.